Debbi Michiko Florence, a third generation Japanese American, is a former classroom teacher and zoo educator. 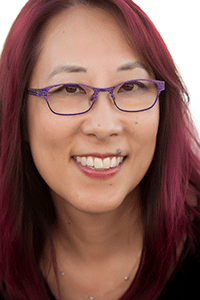 Her debut chapter book series Jasmine Toguchi is about a spunky eight-year-old Japanese American girl. 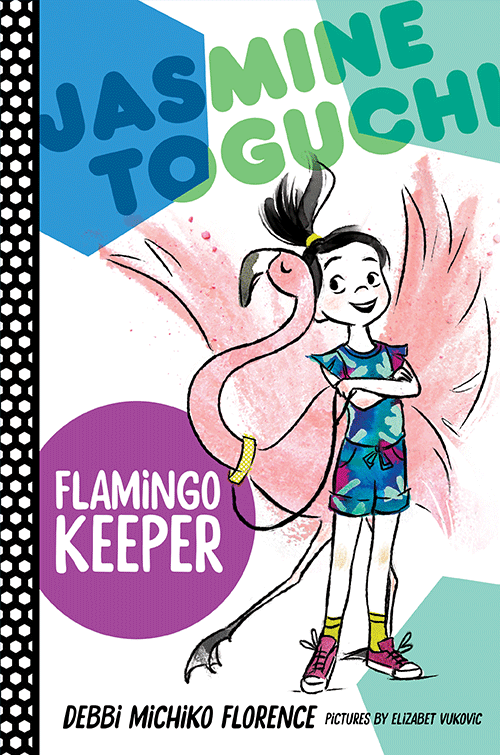 The four books are: Jasmine Toguchi, Mochi Queen; Jasmine Toguchi, Super Sleuth; Jasmine Toguchi, Drummer Girl; and Jasmine Toguchi, Flamingo Keeper. A native Californian, she now lives in Connecticut with her husband, rescue dog, bunny, and two ducks. Jasmine’s best friend has just gotten a puppy. And now Jasmine wants a pet of her own―a flamingo! So when her grandmother sends Jasmine a daruma doll—a Japanese wishing doll—as a surprise gift, Jasmine wishes for a flamingo. Meanwhile, she tries to convince her parents that she’s responsible enough for a pet. She cleans her room, brushes her teeth, takes out the trash, and, most importantly, researches everything she can about flamingos. Will her wish ever come true?